Introducing the annual upgrade program, oneSoft. For a fixed annual fee, paid monthly, receive ALL of the oneSystem and oneNumber upgrades as they become available. oneSoft is priced based upon the number of store locations and in the case of a Customer Service Center a basic Call Center charge plus a fee for each connected store. 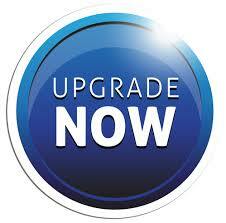 oneSoft allows you to upgrade when you are ready, with a minimum of one (1) annual upgrade being made available. Should you choose to upgrade only once every two or three years, your upgrade charges are paid in full. The only charges that we will apply are for labor and materials that apply directly to the upgrade process. We provide you with a direct line to present your ideas and development suggestions, This is your opportunity to provide us with idea’s and feedback on the features we have developed and the functions to come. On demand development requests can also be presented at any time and will be considered with funding of an expedite labor fee or other costs as determined during the specification phase of any new concept. This type of development will be done as a separate project and dealt with on a case by case basis.